I have not been blogging much lately but I am still around !! I have been waiting to get my camera back as I had to take it back to Best Buy as it would take me up to twenty tries to get a close up picture, but once I did, it was stunning but just too much work to take so many when it should have taken them quickly. Well, now it takes them, but the quality went way down !! the next one was clearer, but dark. It was the ONLY good one out of around ten or twelve I took. So, back to Best Buy it goes. I am very disapointed. I will have to start using my old pink Cannon Elph which still works great but reflects pink on all my pictures of white or light colored beads, lol!! The new one was more megapixals too, which made the pictures so nice WHEN it took them !!! I hope I can get it resolved, I am ready to start figuring out some new pretties to make and I want to have good pictures to blog here with !! So, I am working on getting back on track here. I had my little hissy fit, and finally figured out some of the reason I was so blue and things got to me so bad, could be my hypothyroid acting up again. I am working on doing the right things to make it better and will be going in for my physical soon as well. That at least explained why things got to me so badly when they usually do not !! Also explains my fatique lately. I have been diagnoised before but got lazy with my eating so it is time to get back on track !! 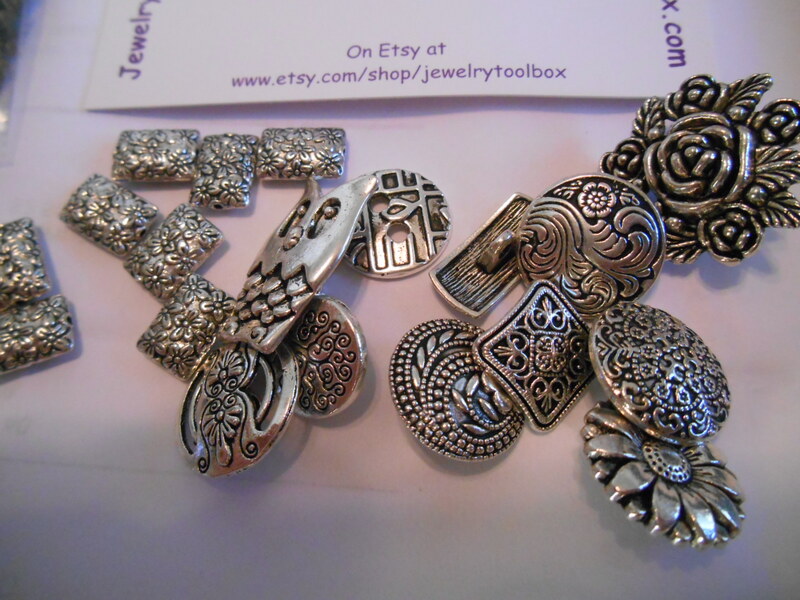 So, gonna start on the pieces I am making from Aunties beads, I am so in love with these beads and cannot wait to get these three sets done. 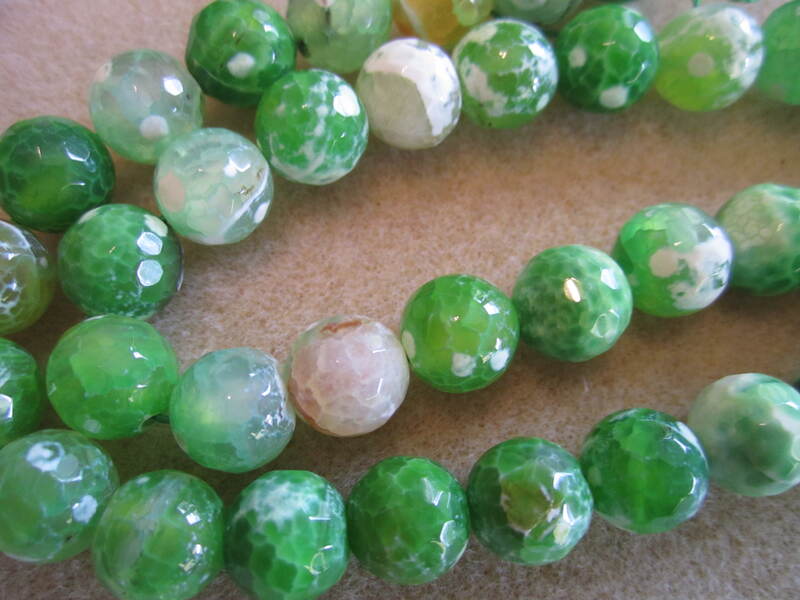 I have not found such nice quality stones online before so they will be my new go to for smaller stones, they are just gorgeous. I think the three sets will be really nice !! So, this week I should be posting the first set, I think the money one !! 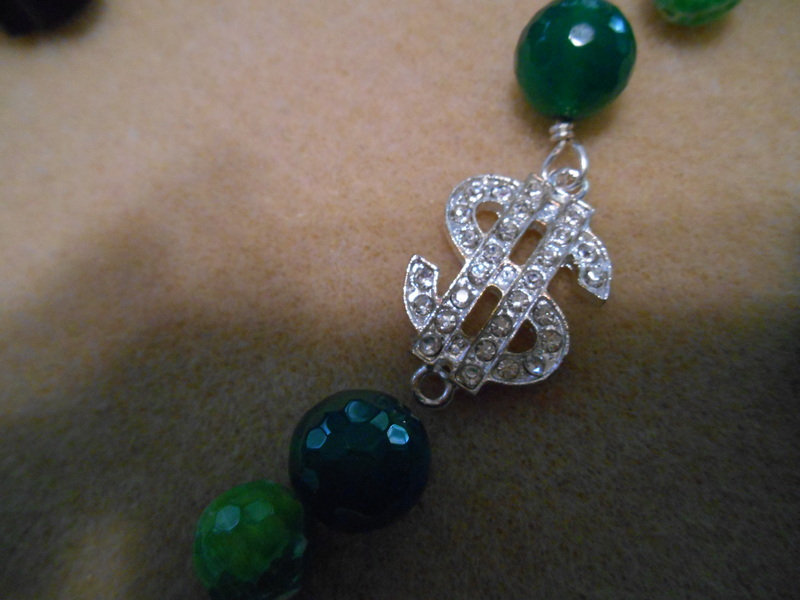 I love the green with the big blingy money sign !!! So, just wanted to touch base and let you know I have not disapeared. 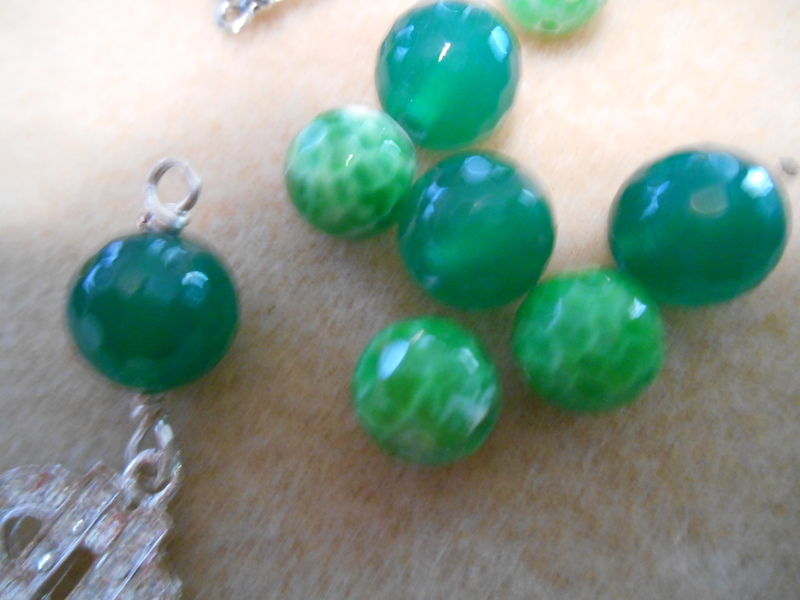 be back soon with some pictures of a finished bracelet and earrings set ! !